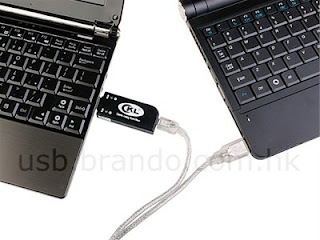 On pages Brando appeared a convenient USB device USB 2.0 Data Copy and Internet Connection Sharing Dongle, which is connected to any USB 2.0 slot and it's easy to connect two computers and transfer files between them. 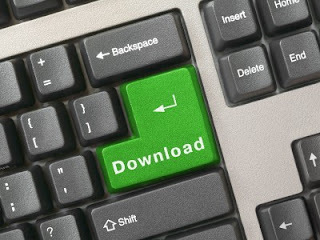 It further offers, and is not commonly used, is the possibility of sharing and Internet connection from one computer to another. Price is $ 29, and Brando claims that for $ 3 postage costs delivered anywhere in the world. The new sequel known race series called by legend Colin McRae got around the time of exit. Lovers of road dust and run by its nature can finally sigh because it confirmed that Colin McRae Dirt 2 published this year, to be exact, during September. Although the official web site of the poor facilities, it is known that Dirt 2 brings better effects, graphics and model of damage thanks to the third generation of EGO engine, which will ensure that vehicles are more than double than those in the Race Driver: GRID. 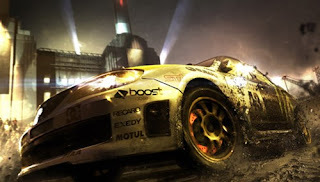 Of course, Dirt 2 brings all the power of licensed rally and off-road vehicles, and the memory of the tragically deceased legend Colin McRae, in concert with his family it was decided that the series still carries his name. The American branch of Association for Computer Security CERT announced the existence of the registered versions of the new worms Conficker, also known under the name Downadup. The new version carries the name Conficker.B + +, and it has the possibility of opening a new approach poisoned computer with the functionality to automatically update. Existing Patch netapi32.dll no longer closes all possibilities of infection, and is suspected of re-infection but before the infected computer. Worm is now checks the update capability without disclosure, and if it is possible to validate the new version and update the computer is infected latest variant. Conficker has so far made a major headache for users of extremely heavy cleaning, and getting immersed in complicated trace creators apparently due to the random generation of the URL address. The first version, Conficker.A, affected about 4.7, and Conficker.B about 6.7 million IP addresses. Microsoft believes that the authors did not simply build a complete Conficker network with the new variant, and still offers $ 250,000 reward for the disclosure of the same. Citrix announced that they would soon offer a free version of its XenServer visualisation software. Free version will be somewhat weaker, but will offer the ability to manage with more nodes, sharing of resources between the server and able to offer a complete "live-motion." In relation to the full version that is in the U.S. in sales at a price between 1000 and 5000 U.S. dollars are missing opportunities, such as tools for automating common tasks and Workflow Studio StorageLink function that allows easy preparation of virtual machines. XenServera free version should be available for downloading from Citrixovih site by the end of March. Americans already play it, the Europeans will start very soon, and Jonny Ebert from Relic reveals how the genre of RTS and ungrateful for making hits. 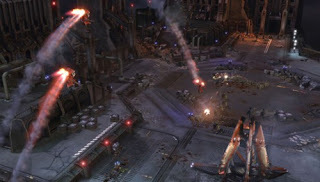 Warhammer 40,000: Dawn of War II started to sell in the stores, the first descriptions already on the net and there is no doubt that the eyes of many players fixed on a new edition of an excellent Relicovog RTS. But as he says Jonny Ebert from Relic, even specialize in strategy in real time, mention the genre is very grateful for making hits. FPS's, MMO's and free games every new edition of trying to simplify the gameplay and make the masses, while the RTS's that have the intention to succeed must go in the opposite direction with a great precaution. Because of this, they decided Dawn of War II at the beginning to simplify and keep the depth to draw to the end. The keypad looks quite attractive, and comfortable keyboarding provides a resting place for the palm. OCZ has released the third in a series of key product lines Alchemy called Illuminati. 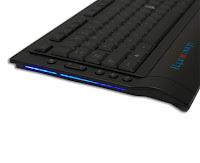 The keypad is designed for moderately demanding gamers and multimedia lovers, on a backlight key. Users can choose between red and blue lighting, and adjust the intensity built w heels. 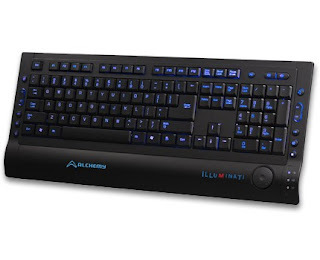 There is also a set of 14 keys for quick-start multimedia applications and Internet access, for which normal operation is not required, no drivers. All the buttons are rubbed while the keyboard connects to the USB 2.0 interface. OCZ specifies acceptable price, which is not officially published, but is expected in range of 30 to $ 35. Adobe has warned that there is still not dangerous mended security flaws in Acrobat Reader and Acrobat. 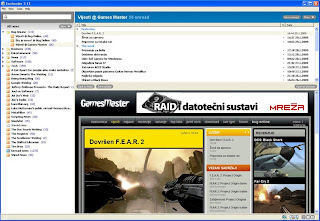 Potential attacker can use the default application for the demolition with the help of appropriate designed PDF files and then rewriting malicious code into memory to obtain control over the user's computer. Adobe points out that the observed attempts of attacks that exploit this flaw, and the appropriate patch for Acrobat Reader 9 and Acrobat 9 should be available in mid-March, while owners of older versions have a little wait. To issue patches Adobe advises users to update virus definitions in the security tools you use, and to be careful when opening documents from unknown sources. Independent security experts have also confirmed the existence of the problem, but emphasized that for now the target of attacks so that according to their data primarily infected several hundred computers. To the Internet from the comfort of armchairs and safe distance. 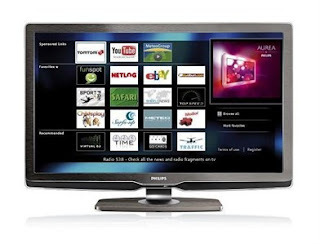 Philips HDTV, and the series 8000, 9000 and Cinema 21:9 will have access to the Internet. Service will be the names of Net TV, and will enable Web browsing on the TV screen. Navigation is possible via remote control. According to announcements from Philips, the company has, among others, made a partnership with YouTube, TomTom, eBay and MeteoGroup who have their pages specifically adapted for display on the TV screen. Other sites also will be able to run on TV, but Philips warns that some of them may have small fonts, because they are suitable for display on monitors. The plan is a bid more popular site with increased fonts and simpler format. To access the Net to TV-series models from 8000 will need a wired connection, while the HDTV and the series 9000 and Cinema 21:9 have built Wi-Fi module for wireless connection. On the European market, television will be found in sales during April. 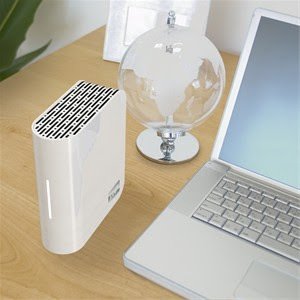 Western Digital is a small refresh its line of external NAS drive My Book World Edition. Slightly below the redesigned the cover conceals the most significant changes - now owned devices cost Caviar Green drives with 33 percent less energy than previous generations. My Book World Edition on network to connect through the built-gigabit Ethernet, and additional USB 2.0 connector is used has a USB stick or expanding the capacity of the other disks. Device, like its predecessors, designed as a central place to store data and multimedia in homes that can be accessed anywhere from the local network or the Internet. Through the media server DLNS 1.5 and the iTunes Music Server is possible streaming content on consoles like PlayStation 3 and Xbox 360, digital photo frames, as well as Mac and PC computers. We offer the capacity of one and two Terabytes, and sales for both models move to the end of this month. Prices amounted to 230 and $ 450. Although most attention is currently focused on Windows 7, Microsoft is preparing for issuing a second service pack for Windows Vista and Server 2008. So the company selected cycle tester delivered almost completed, "release candidate" versions of service packs, but for now there is no information when this test Published SP2 will be publicly available. First public beta for Vista SP2 and Server 2008 was released in December, according to the currently available information, the final version should be available during the second quarter of this year. Microsoft has the MWC-introduced in the refreshment of its operating system for mobile phones - Windows Mobile 6.5. In addition to a complete redesign of interfaces and provides enhanced support for managing finger. New layout is locked the screen and start-up menu where the icons placed in the form of bees honeycomb depicting information about the Inbox, SMS, missed calls and scheduled meetings. Menus, buttons and context menus resemble those used in the Zune and shape are adapted to the use of fingers. The new OS will be on all phones require the Win key to quickly launch applications no matter how deep in the menus there. Refreshingly, and the vers ion of Internet Explorer, which now delivers improved display full HTML pages, support for Flash and plugin for Silverlight. Application interface is fully adapted for the use of the finger, the allegations from Microsoft. Confirmed that the service myphone part of the new OS, and for the distribution of applications now that Marketplace for Windows Mobile - match Apple's App Store. 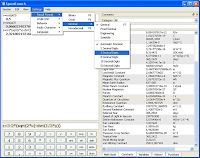 It is a central location for applications in which users will log in using your Windows Live ID. Marketplace will be available with computers, and as Apple Pack, Microsoft has announced that the only conditions that the application appears to be the Marketplace to meet safety requirements and to be fully compatible. In the first products of the Windows Mobile 6.5 will appear in the second half of the year. Once the T-Mobile on a global level in the fight to sell iPhone (except in the United States, where this holds exclusive AT & T), Vodafone for similar arrangements in the fight with RIM's BlackBerry Storm. 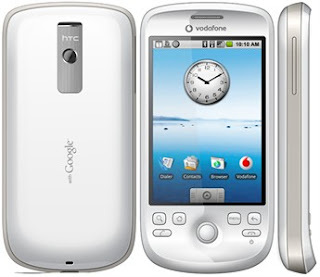 T-Mobile responded with BlackBerry Curve 8900 and HTC's G1 device that brings Google's android operating system, and today is the MWC in Barcelona Vodafone switched the ball back, announced an exclusive offer HTC Magica. It is an appliance which like "Googlephonea" is used as the android operating system, but that does not have a sliding mechanism with QWERTY keypad covered as G1, but is derived as the standard mobile phone the latest generation - the one that has a large screen a touch. Magic supports HSDPA and Wi-Fi, has installed GPS, 3.2-megapixel camera, slot for microSD cards, Trackball resembling those of the BlackBerry and the mass of 118 grams. Depending on the contract, announced that his price on Vodafone markets to be between 99 and 199 euros. Magic will be released on sale in April, first in Britain, then still in Italy, Germany, France and Spain. Nokia is the Mobile World Congress, presented a long expected model N86 8MP. The first thing that catches on the phone in his fathers camera with a resolution of eight megapixel, Carl Zeiss optics and for the first time in the mobile industry - in variable aperture. The desire to mobile better use photographic opportunities and is required in case design. N86 is a two 8MP slider (as N85 and N96) with a weight of 149 grams, but instead controls to play music now, are the keys to adjust the recording settings. Fitted is a double LED flash and interesting - an integrated stand to set the cell phone in the hair position. In addition to the camera that, at least the specifications, dangerously approaching digital compact, distinguishes t he 2.6-inch OLED screen, 8 GB of memory (with microSD slot), 3G, GPS and Wi-Fi. On the European market N86 8MP will appear during the spring in black or white, according to recommended sale price of 375 euros. Security experts warning of the emergency response team of software that exploits a flaw in Internet Explorer 7 which is the Microsoft patch last Tuesday as part of its regular monthly meeting of security patch. Virus code in which Trend Micro called "XML_DLOADR.A" hidden in a Word document. When such an infected document is opened on a system that is not applied appropriate security patches automatically launches the ActiveX object to access web pages through which opens access to the system and installed. DLL (Dynamic Link Library) that can be used to execute arbitrary commands and the theft of confidential information with user's system. 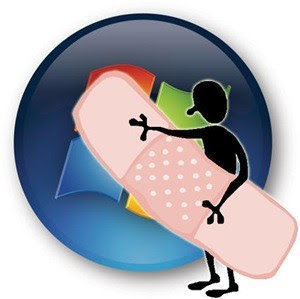 As the best solution for prevention security experts recommend installing the Microsoft patch, or activate a function for automatic upgrade. That picture is worth a thousand words is well known, and that the same adage can be applied to videos that analogy, surely must be worth much more than a thousand words, it is entirely undisputed. After all, anyone who has ever had to follow a series of configuration steps that are not accompanied by a picture or video to something made on a computer, well known to him all that was easier to do that these steps will be illustrated. Surprisingly, many still do not use all the available benefits of broadband Internet in order to speed someone send a picture content or a video screen and thus to solve the infinite printing mini-manual. Programs with functions like Jing is definitely there, but this is likely to win easily in use, but with a few specific features. You probably guessed, Jing is a small tool that will easily burn the content of the screen and see it as a picture or v ideo to easily share with others or store on local disk. Is somewhat unconventional approach, so instead of a Typical interface, it boils down to a little sun to be, immediately after installation, placed on top of the screen (it is possible to adjust to the sun not shown). 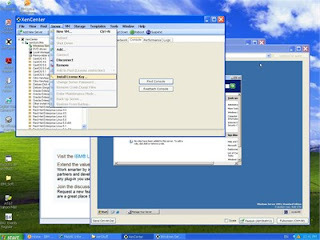 If you drag the mouse arrow to the virtual sun, will appear three branches - the first activate capture screen content, with the other will show a window with a history of all previously recorded content, while the third starts the round window from which it is possible to access the configuration program. Besides the sites, and capturing the screen content of interest is derived. Specifically, there will be a tool for the annotation of the region (consisting of two interconnected vertical line) screen that you want to record, while not affected parts of the screen will be grayed out. At the intersection line will be dynamically displayed and the size of the marked region and in pixels. Once you've selected a region, you will see a small window in which will be displayed captured content, but also by which you decide you want to do - catch the region as a picture, start recording video, repeat annotation of the region, or cancel. Window it is possible to change the dimensions of which will increase and the marked region, and it can be and free to move around the screen. Depending on what recording mode you choose, you will be the respective window. If you decide to record content as pictures, you will be on view, where you will be able to add it with the text boxes, drawing arrows and boxes and label pictures of the virtual marker. 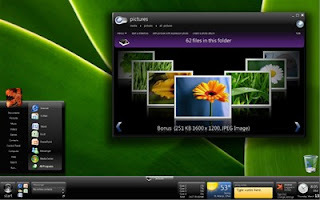 When you are satisfied with the result, the photo store to service Screencast.com or save it on local disk. Service account Screencast.com you'll be able to open when you install the program. The basic account is free and to get two gigabytes of space for storage of pictures and video. Unfortunately, Jing supports recording screenshot only in PNG format, which many reprimanded him, and although it actually has serious drawback, and it is not essential. Record a video it is easy - when you activate it you'll have three seconds to prepare (the country will be shown), after which it will automatically start. Of course, in any moment of the record ing it is possible to interrupt or temporarily stop, and you have the microphone, it will be filmed and the soundtrack. When you are finished recording, obtained an entry will also be sent to Service Screencast.com or burn it locally, but only in SWF format. Besides the storage of pictures and videos on the Internet service, it is possible to add a new button (and not just one) in which the recorded content can be sent to Flickr, but also through FTP and. There will be good to get the option of automatic generation of HTML (it will be placed on the clipboard, so it is enough paste where you please) which can be a picture or video display on a page (a template, you will have to do, but everything is explained in the online help ). All in all, Jing is a practical tool for recording the contents of the scr een and screencasting. No offers many opportunities that we have seen in the practice of other similar tools, and some of his really chronically lacking. For example, we are happy to see the next versions of video editing capabilities and support for more graphic and format. But these deficiencies, as well as some other things, we will not hold against him. Sega continues successful tennis series in May. Sega has announced that in May, publish a new edition of the popular series Virtue Tennis. If we go back a little back, we remember that the Virtue Tennis 3 two years ago was accepted very well by critics and players, and new, except for the Xbox 360, PlayStation 3 and PC, will arrive in the Wii version, which, thanks to the unique controllers do not surprise. 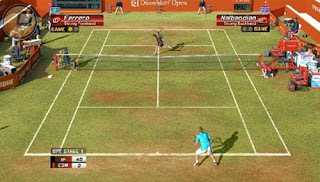 According to an official statement, Virtue Tennis 2009 will be on all platforms supported by a network game, host professionals like Roger Federer and Venus Williams, and the authors will add a series of mini-games, of which five new. Football Manager Live is a massive game what they had hoped all the fans of football. At the end of last month under the auspices of Sega to retailers appeared Football Manager Live team of developers Sports Interactive Ltd.. As well as the title says, it is a managerial simulation of football in what we are used with the exception that this issue goes back to the water MMO's. Players enter the special world of which support up to 1000 users and create a club full of the "real" football players, take care of transfers, training, defining tactics and work all that would be a manager of football club should operate. Like every other MMO, and Football Manager Live has a monthly subscription, and more details about him, visit the official web site. Team from IBM and was thinking that the way to dodge the bullet could be achieved, for which they were patent and approved. It is a system in which an external device monitors the area, or you are accompanied by bullet. If you estimate that it will take a shot near the protected person, a part of the person to electrically stimulate muscles in order to parts of the body or whole body removed from the budget bullet trajectories. This system could well serve the public persons for which there is the possibility of assassination, like the president and other senior government officials. The system is designed as an alternative (or supplement) "bulletproof" life-jackets, which are not entirely sure, because there are munitions that can penetrate them. All we have to be aware that online generators are not a long term beneficial, there are today, tomorrow will be to shut down the service may or will start to charge for services and no longer will have the opportunity to generate the thumbnail and all those cool things that we are now able through just a few clicks. Of course there is a pile of pages, which is trying to throw out what the cash value of a single web page. Now I have to say that neither one of these tools can not give a realistic estimate of the value of individual web pages, let alone anything more. All these huge site bases its assessment on the way to pull data from other sources: Google Page Rank, Alexa, Dmoz, Digg, Technorati. Why do I write this article when you persistently say that the estimates are not realistic and that they should not be taken too seriously? Well, because I'm hitting a very interesting one. 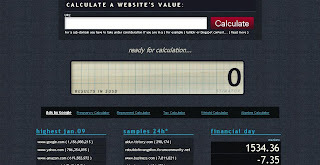 Enter your site, click on calculate and watching as the value of your website grows through all 14 levels and at the end when you see the amount of think, if something goes wrong in the black this time the recession can always sell the site or blog :-). Therefore, all the stimator.com and check how many $ worth your site! 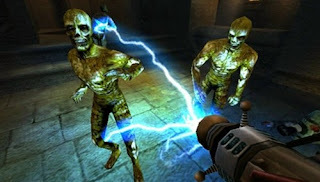 Warner Bros.. Interactive Entertainment and Monolith Productions developers proudly announced the availability of horror shooters F.E.A.R. 2: Project Origin on the American market, while in Europe should appear tomorrow. 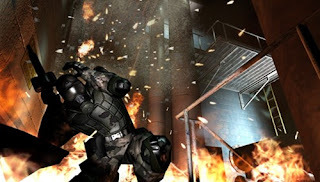 As we already mentioned, it is a great sequel F.E.A.R. 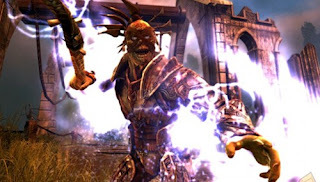 and whose story will continue in his role as Michael Bracket, and how the whole city will be destroyed cataclysm explosion and hordes of different monsters under the control of small replacing Alma, we expected a lot of gruesome scenes and events. More about the F.E.A.R. 2: Project Origin, visit the official web site. Activision Blizzard reported the loss and the change of plans the publication of some upcoming projects. Despite the loss of 72 million dollars that Activision Blizzard is reported in its financial report for the last quarter of last year, these publishers are not very concerned. Loss was apparently a result of the merger, Activision and Vivendi, and in addition to numbers in the report referred to us the most interesting topics - the game. Thus, for example, announced that the new Wolfenstein (op, op!) Appear already this summer, which is earlier than planned, but the Call of Duty: Modern Warfare 2 delayed for a few months and should be completed at the end of the year. Delay is affected and a new game on that James Bond is planned only in the year, but to be a little on luck, let us say that the Starcraft II beta should start already for a couple of months. Here's the first mobile phone that you'll be able to use without hand ( "Look, ma - no hands!") 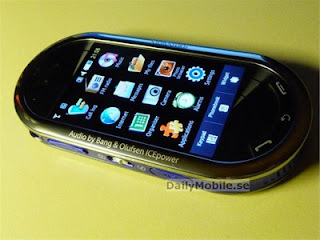 - Pantech Sky IM-S410 / IM-S410K allegedly has a microphone that is able to recognize when the user deliberately blows and to be utilized for management interface. Alleged to be blowing might change the picture on the screen and play the game built, but to dial a number, we must engage fingers. Among the other characteristics we would like to emphasize that the device is 11 millimeters thick and has a built-DMB TV tuner and an electronic dictionary, and comes in three colors: white, black and red. Appropriately named, the reader can boast a clean interface that has been and flexible. Unobtrusive, though the whole time, can work in the background (waiting in the system tray), but other than that is has very few practical options that can equally serve and total beginners and those slightly more demanding. One such feature is the possibility of creating "smart" channel. This is an option to download content grouped articles (no matter in which category are) based on the criteria. For example, you follow the stock market, and have in collection of added RSS channels with such content, you could filter all the articles in which only appears the term "board". They will, of course, be displayed in a separate category. Another interesting possibility that Feedreader aside from the crowd is the option of creating their own channel by searching the Int ernet service. Stunt is pretty spectacular, enter the term for which you want to receive articles, select a few well-known service (Google News, Yahoo! News, YouTube, Technorati and the like) and the news will be properly collected and displayed, what is the best, everything will be updated as it is a classical channel. Adding new channels is quite typical for this type of program, paste the link to an RSS feed that you wish to subscribe, and it will automatically be taken of the contents. We'll hold him, the fact that when adding an RSS feed does not provide opportunities to immediately put in a previously created folder, but it always has to manually create later. However, it is not so bad if you occasionally add channels but doing it his collection again, superfluous clicks easily become painfully and irritating. However, in addition, it is difficult to find a serious complaint. Feedreader is a really well-equipped, full of details that raising the level of Ergonomics. 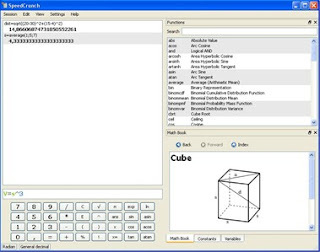 Thus it is possible, for example, show only the channels do not read (they will re-appear when the new content) and individual articles, has a schedule with three panels, it is enabled to control through the shortcuts on the keyboard, is equipped with a built-browser (relying on Internet Explorer) and the like. However, in your Feedreader Arsenal offers another very nice thing to which the authors named Enclosure browser. It is not about nothing too new revolution in RSS reader, but if you subscribe to the channel which, in addition to reading for reading, wear and supporting content such as audio files or photos, will be automatically downloaded and available in a separate window. The whole thing is all the nicer that allows the genera tion and Playlist in the event that, of course, took over the audio files. All in all, looking for a good RSS client that does not spent a lot of resources and has cool options and it is completely free, then this is the program you should definitely consider. Not only is equipped with typical characteristics, but also includes some features that are rarely see in other clients, and we must admit that, generally speaking, it works pretty well. As part of their regular monthly patch cycle of publishing, Microsoft has announced for Tuesday four security patches for its products, of which two were marked as critical . Two critical patches are connected with the Internet Explorer, and Exchange Server, while the other two, marked only as important, intended for Visio and SQL server. Details about the problems that resolve these patches will be released only after their official issuance on Tuesday. The possibility of adding a different extension and plugging is now up to the users Internet browser FireFox was a big advantage compared to other products on the market. According to certain programmers Nicholas Molina, Google Chrome would be up to May this year also could get support for extensions. 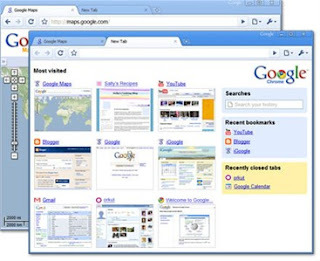 On registration for the third annual Google developer conference, Google I / O 2009, among other items the program is almost the most important issue Developing extensions for Google Chrome. Under the description of a theme is the simplicity of making demonstrations extensions for Chrome by using existing and already well-known Web technologies. The topic describes the basics of system extensions, and some details such as packaging and distribution, methods of installation and auto-refresh ve rsion. As part of the lectures will be discussed using different API functions to expand the browser's capabilities. Of course, details are not known yet, but expect it to be the first extension may already exist during the conference, at least in demo purposes. Conference Google I / O 2009 starts 27th May, and is held in San Francisco. Samsung's Mobile World Congress, which begins mid-month prepared a high-end mobile phone, writes Daily Mobile, which is in the possession of exclusive photos. The name of the M7600 will be the first mobile phone from Samsung with a screen sensitive to touch for which the volume charge Danish manufacturer Bang & Olufsen. Another "fun" thing in the mobile phone will be a DJ scratching a unique functionality that will allow users to mix and add various effects to music. Thus, a musical creation will be able to save an d (for later listening). Among the other highlights the characteristics of the 2.8-inch AMOLED screen, the camera resolution three megapixel, GPS and 3G. 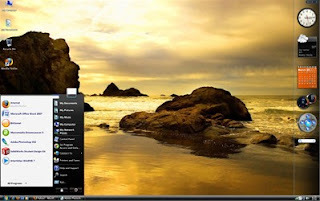 Operating system is not known, but it is speculated that this could be Symbian. Price is not known, but the market would be mobile could occur in May. 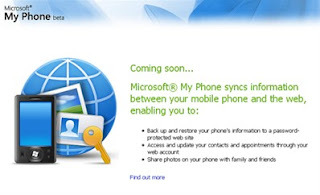 Microsoft is reportedly preparing to run the Internet-based services that will enable the storage, sharing and creation of backup copies of data from mobile phones. According to still unofficial information service called My Phone is intended only to users of mobile phones based on Windows Mobile 6, and initially will be available to a limited circle of beta tester. Details about the new Microsoft service became available by chance when the official site unintentionally become available before the scheduled presentation. According to data available on these pages, users will get free 200 MB of storage, and the service will provide backup storage and return the data stored in the phone, access contact and calendar information, and share photos from your mobile phone. More information should be published during the fair, Mobile World Congress which is the 16th to 19 held in February in Barcelona. ComputerTan the fantastic product that 100% guarantee that your monitor to turn UV lamp for sunbathing. On the words and cheated 30,000 people are hoping that after the end of working hours in offices go out - much more beautiful complexion. Dodge is the result of the campaign in the fight against skin cancer British Association Skcin aimed to inform the public with this evil disease. All who have registered and done their "sunbathing" in the end they were faced with the alarming information and photos about this difficult disease. Deterrent is the fact how many people are willing to risk because of "healthy" look and bronze complexion, said a representative of the association. On the other hand, it seems that the credulity of the people on the online bidding (no matter how incredible sound) there is no end. 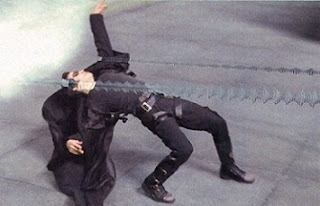 How all this looks see here.